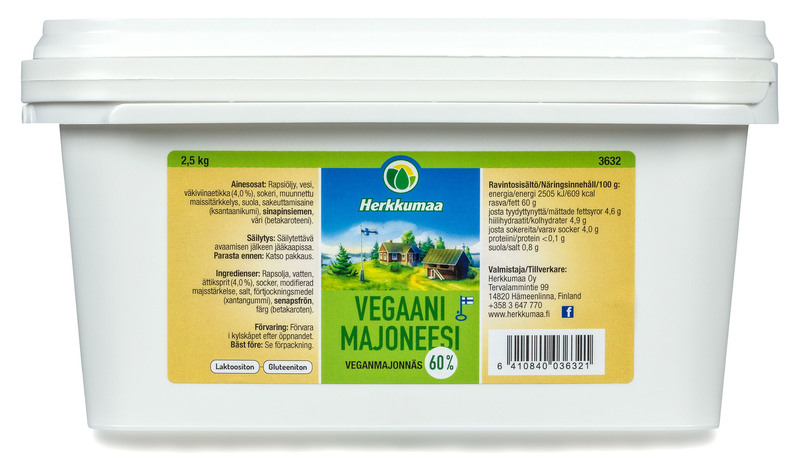 Herkkumaa vegan mayonnaise 60 % is egg-free, lactose-free and gluten-free. Containing double the fat of our lighter vegan mayo, the vegan mayonnaise 60 % has full-bodied, smooth structure. 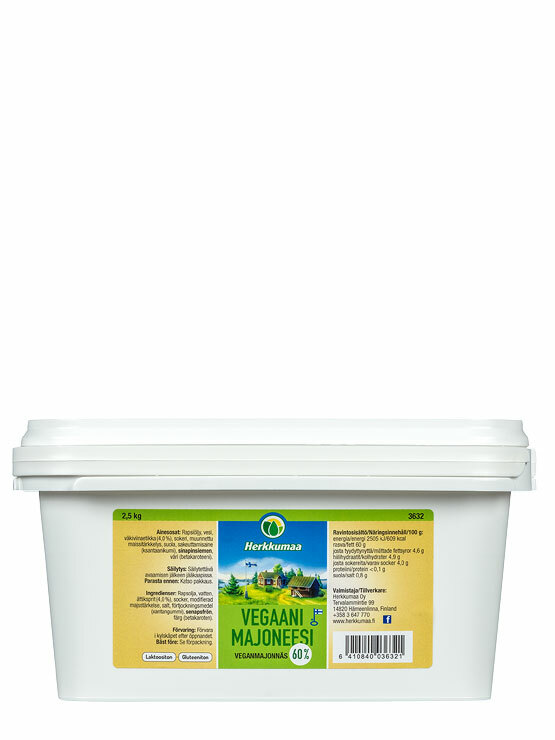 With a structure like traditional real mayonnaise, the vegan mayonnaise 60 % is great with salads and suits vegan cooking. Available in 2.5 kg angular packages that save space in transportation and refrigerators.